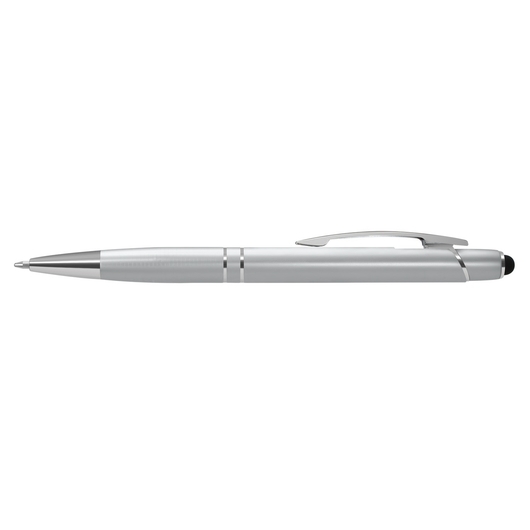 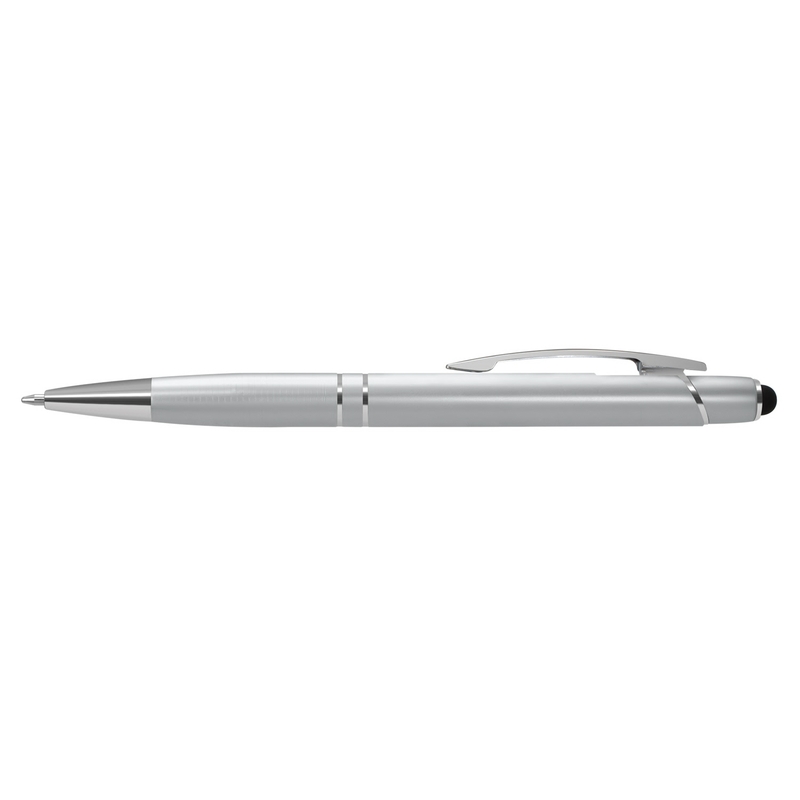 A stylus pen with a sleek design waiting for your logo to make them shine. 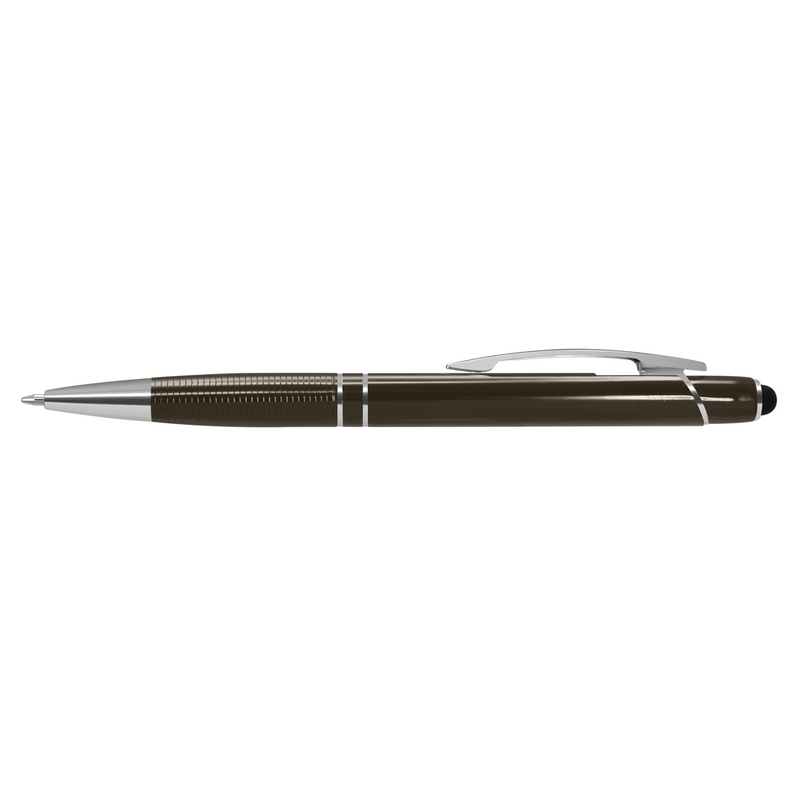 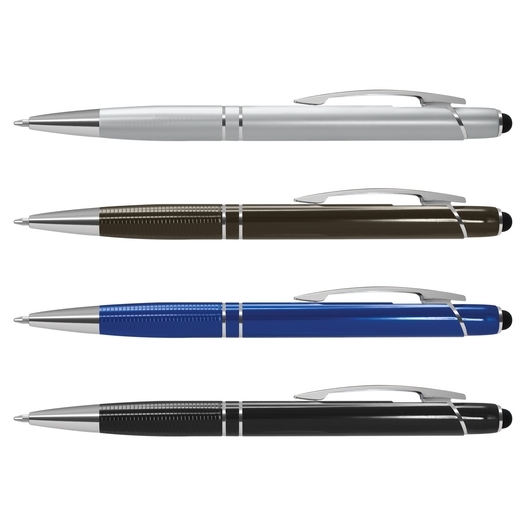 These sleek pens are a great giveaway item that can be suited for nearly all promotions. 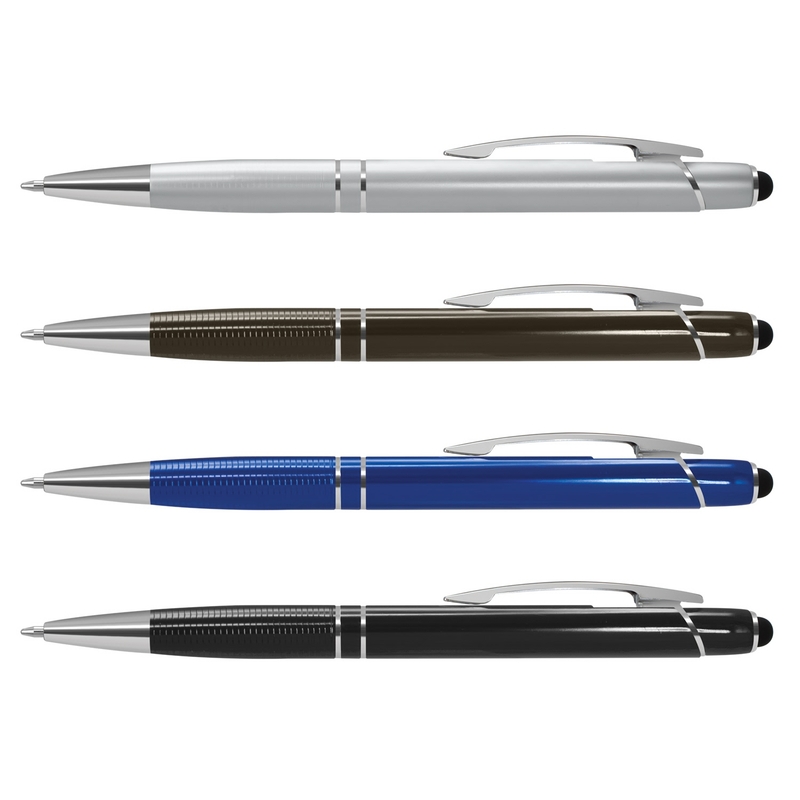 They are a retractable aluminium ball pen with shiny anodised coloured barrels and a matt anodised silver barrel, all of which have shiny chrome accents. They feature a stylus for use on touch screens and a black ink refill with 800m of writing ink. 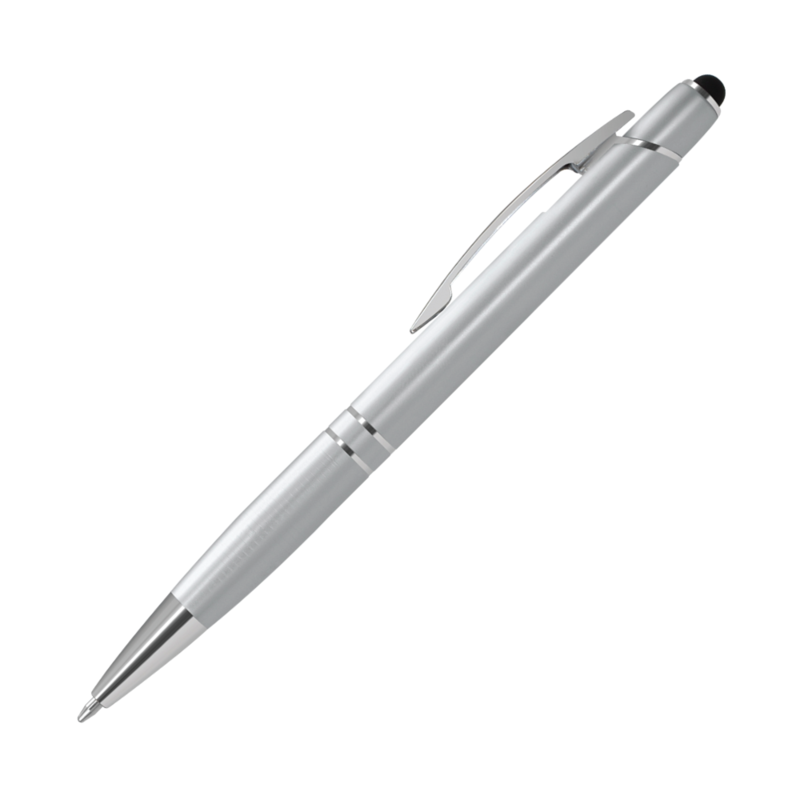 They laser engrave to an oxidised white colour and can be presented in a black velvet sleeve or gift box for an additional cost. Get your logo on these today!